Carlos Colon is the head Promoter for WWC (World Wrestling Council), along with Victor Jovica which was formed in 1973. September 17, 1983 – WWC: WWC Universal Champion Carlos Colon vs NWA World Champion Harley Race ended in a draw. December 18, 1983: Carlos Colon defeated NWA World champion Ric Flair in a “title unification” match in a steel cage in Puerto Rico. 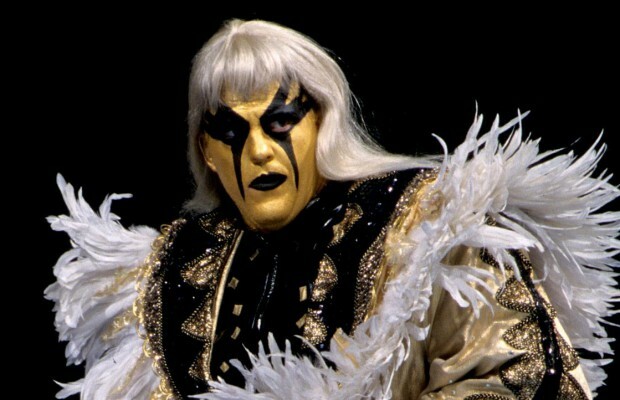 ~~~The title change was not recognised by the NWA and the World title was renamed the WWC Universal Heavyweight title. Carlos Colon wrestled former NWA World Champions Dory Funk Jr, Terry Funk and Ronnie Garvin. ~~~As well as Tully Blanchard, Bruiser Brody, Stan Hansen, Abdullah the Butcher and Ernie Ladd over the WWC Universal title. September 15, 1984 – WWC: Stan Hansen and Bruiser Brody vs Abdullah the Butcher and Carlos Colon ended in a double DQ. September 21, 1985 – World Wrestling Council: Abdullah the Butcher vs. Carlos Colon ended in no contest. September 20, 1987 – WWC: Carlos Colon defeated Hercules Ayala in a “barbed wire cage” match to win the WWC Universal Title. September 10, 1988 – World Wrestling Council: Carlos Colon defeated Hercules Ayala via submission in a “fire” match. October 7, 1989 – WWC: Carlos Colon defeated Steve Strong in a “barbed wire cage” match to win the WWC Unniversal Title. WWF Royal Rumble 1993: Carlos Colon was a special guest participant in the Royal Rumble match, won by Yokozuna. Mid-November/2001 – Noel Colon, the younger brother of Carlos, was shot to death yesterday at Noon at his work in San Juan. ~~~Colon, a union head, had fired Juan Negron, who came back to the office with a gun and allegedly blew him away. August 7, 2004 – WWC: Carlos Colon and Chicky Starr defeated Super Gladiador and Bronco. July 16 2005 – WWC Bruiser Brody Memorial: Jose Estrada Sr defeated Carlos Colon in a Legends Match. July 31, 2005 – Dory Funk’s BANG: Carlos and Eddie Colon defeated Dory Funk and Johnny Magnum to win TV Tag Team titles. March 5, 2006 – World Wrestling Legends PPV: Vampiro defeated Eddie Colon w/ Carlos Colon. January 6, 2007 – World Wrestling Council: Carlos Colon vs. Victor Jovica ended in a no contest. January 13, 2007 – World Wrestling Council: Carlos Colon defeated Victor Jovica. January 20, 2007 – World Wrestling Council: Carlos Colon and Abbad vs. Victor Jovica and Bronco #1 ended in a No Contest. February 3, 2007 – World Wrestling Council: Carlos Colon defeated Victor Jovica by DQ. Carlos Colon is the father of WWE Superstars Carlito Colon and Primo Colon and the uncle of Orlando Colon. 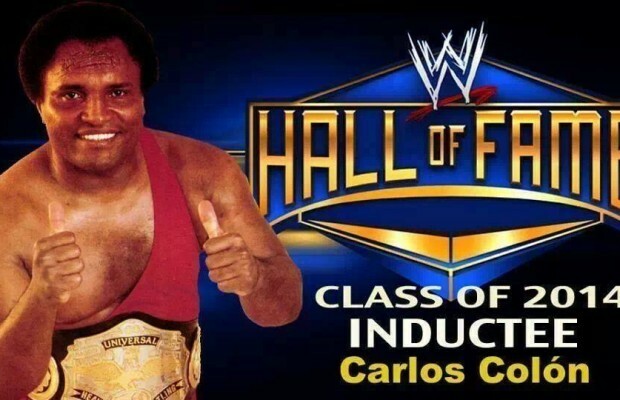 Carlos Colon was inducted into the WWE Hall of Fame, class of 2014.